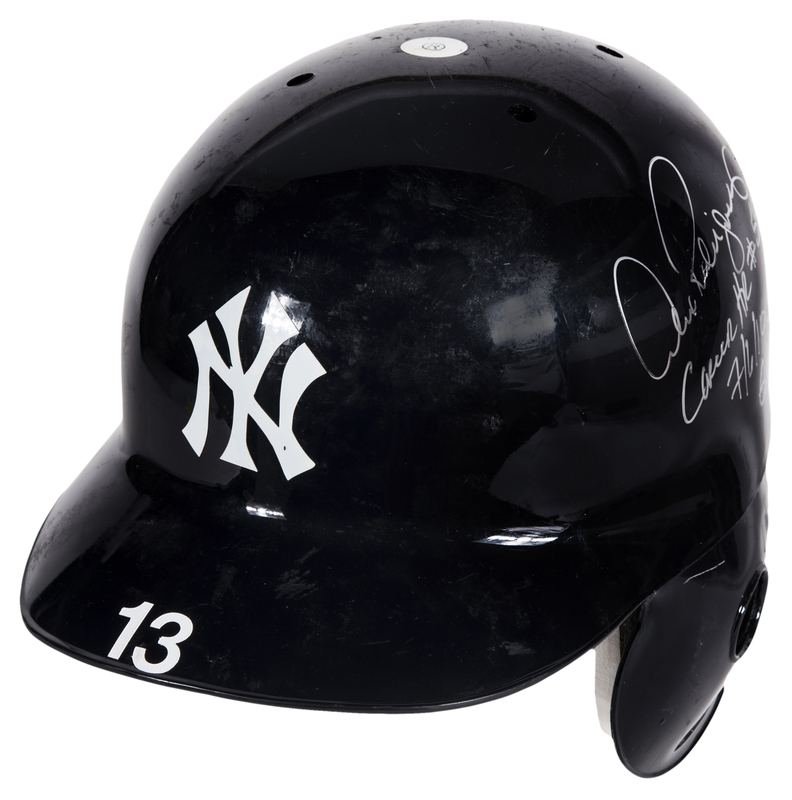 New York Yankees superstar Alex Rodriguez wore this navy Yankees batting helmet on July 6th, 2010 as the Yankees defeated the Oakland Athletics 6-1 at Oakland-Alameda County Coliseum. 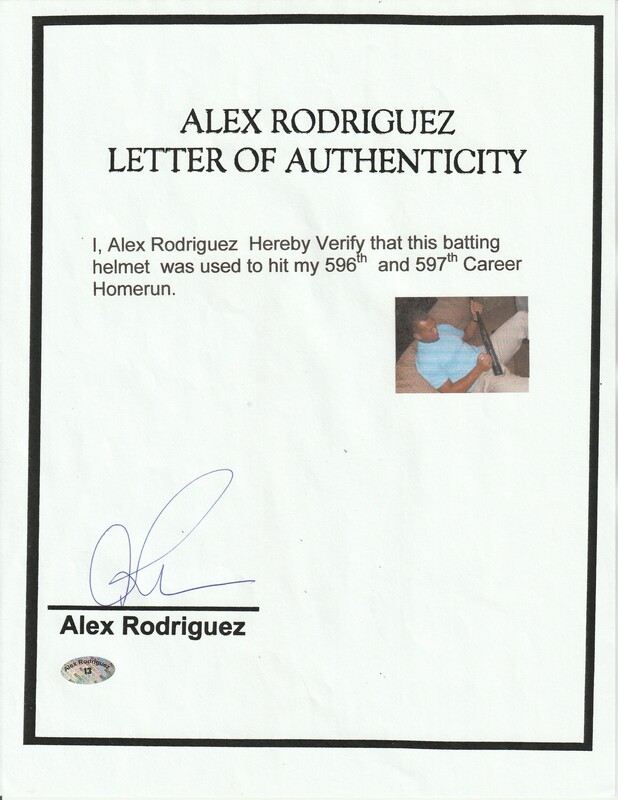 Rodriguez went yard twice in this game off A’s starter Trevor Cahill, tallying a grand slam in the fourth inning and a solo home run in the sixth. The grand slam was Rodriguez’s 596th career homer, and the 21st of his MLB-record 25 career grand slams. The superstar slugger finished this game 2-3 with five RBI and a walk. 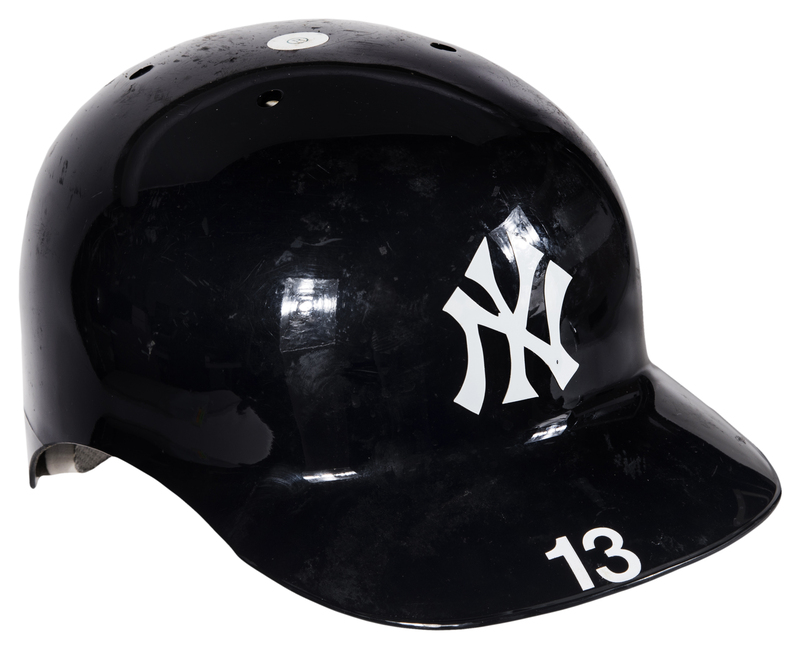 This size 7 ¼ batting helmet features the Yankees interlocking “NY” logo in white on the front, and an MLB logo applied to the back of the helmet. 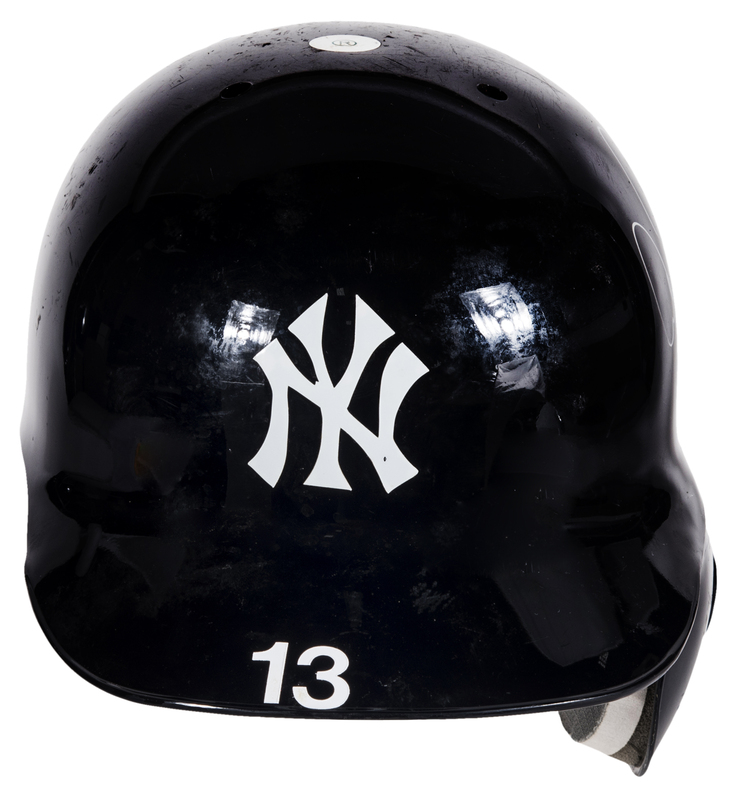 Rodriguez’s number “13” is applied in white to the brim and the back of the helmet. 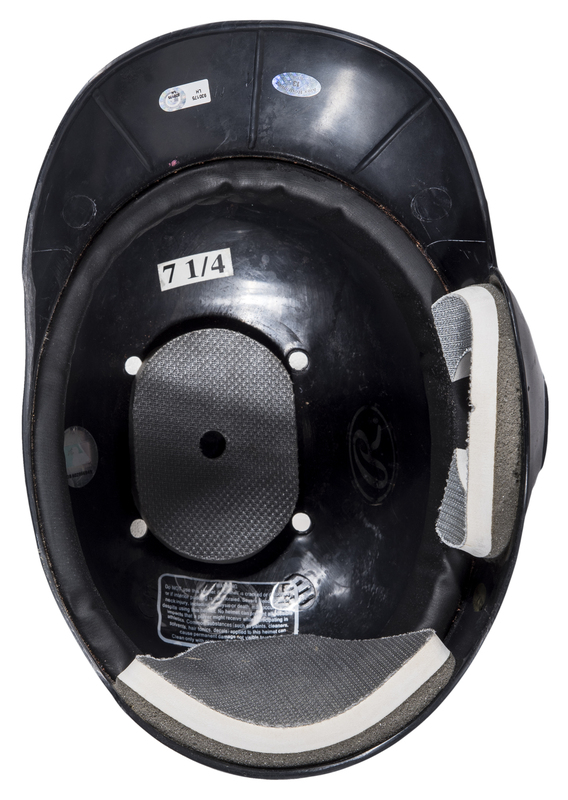 The ear flap is present over the left ear and all the interior padding of the helmet is present. 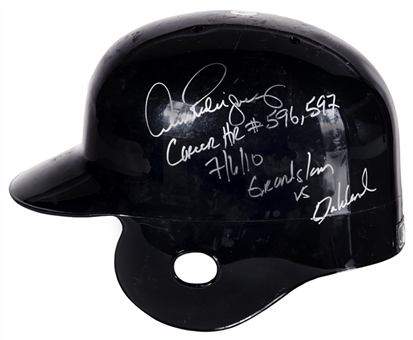 Rodriguez has signed the left side of the helmet in silver marker, inscribing “Career HR #596, 597 7/6/10 Grandslam vs Oakland” in addition to his signature. 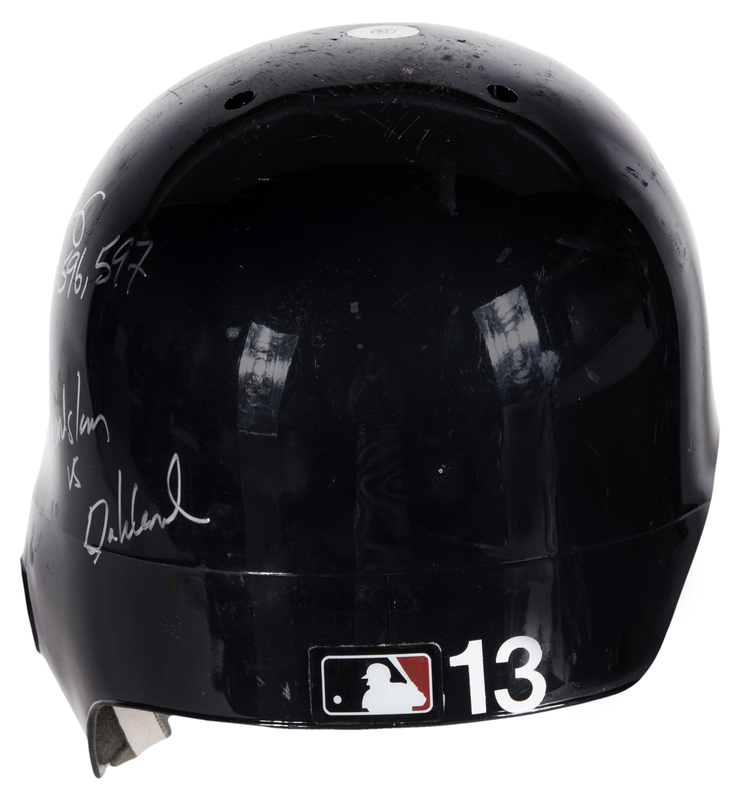 This helmet comes with an MLB Authenticated hologram (LH 930175) that states the helmet was taken out of play after the Yankees contest against the A’s on July 7th, and a LOA signed by Alex Rodriguez himself attesting to the use of this helmet for his 596th and 597th career homers. 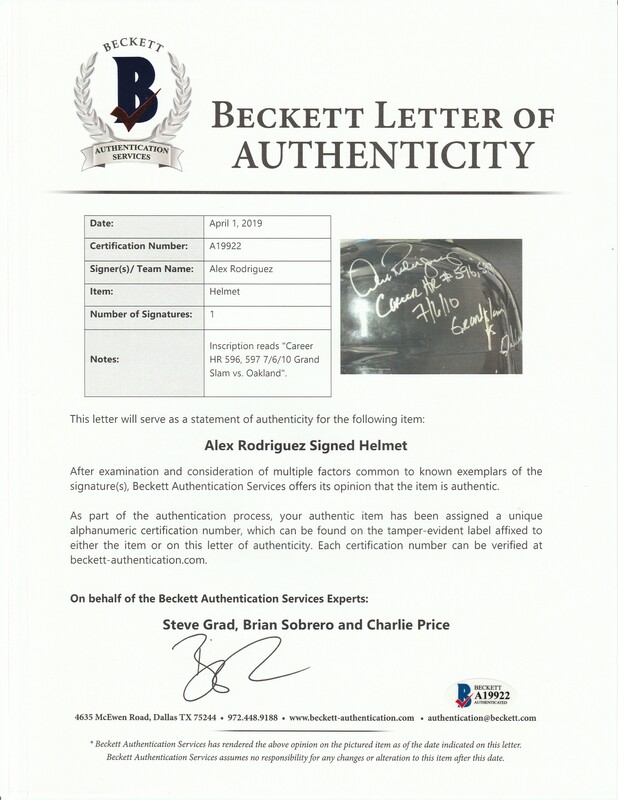 There is also a LOA from Steve Grad of Beckett Authentication for the signature.